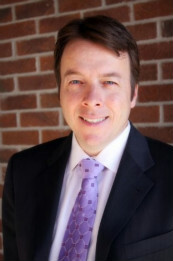 Wayne Ferbert is a cofounder and principal of ZEGA Financial, LLC, a Registered Investment Advisor. He has spent his entire 17-year career in financial services, with 10 of them in the online brokerage segment with TD Ameritrade. In addition to managing business development as a member of the Senior Operating Committee at TD Ameritrade, which included M&A and market research, he ran product development. Prior to Ameritrade, he worked in planning and analysis roles at a Fortune 500 insurance firm and then a Fortune 500 bank. Wayne has an MBA in finance from Loyola (Md.) and a BSBA in finance from Bucknell University. He has his series 65 license. He resides in Ellicott City, Md. with his family. He has three daughters, ages 6, 8, and 9, and coaches youth soccer. 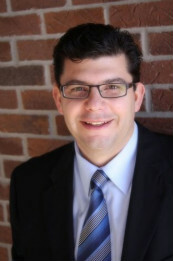 Jay Pestrichelli is a cofounder and principal of ZEGA Financial, LLC, a Registered Investment Advisor. He has 20 years of experience in business management, with 12 years in the online brokerage field with TD Ameritrade and Datek On-Line. As manager of the Active Trading business, he helped drive it to become number one in trade volume of U.S. brokers. During that time he was a regular contributor as a subject matter expert on CNBC's Fast Money , provided video interviews for CNN, and been regularly quoted in publications such as the Wall Street Journal and SmartMoney . Licenses include series 7, 63, 65, 24, 4, and 3. Jay resides in Omaha, Neb. with his wife, Lynn, and 6-year-old son, Zander.